It's This or Murder...: Dave's Killer Bread: Not Just a Clever Name. Dave's Killer Bread: Not Just a Clever Name. Thanks to Moms Meet, I was given the opportunity to try out Dave's Killer Bread. Though Halloween may be coming up, there's no need to fear; Killer refers to tasty fabulousness, not violence. See? 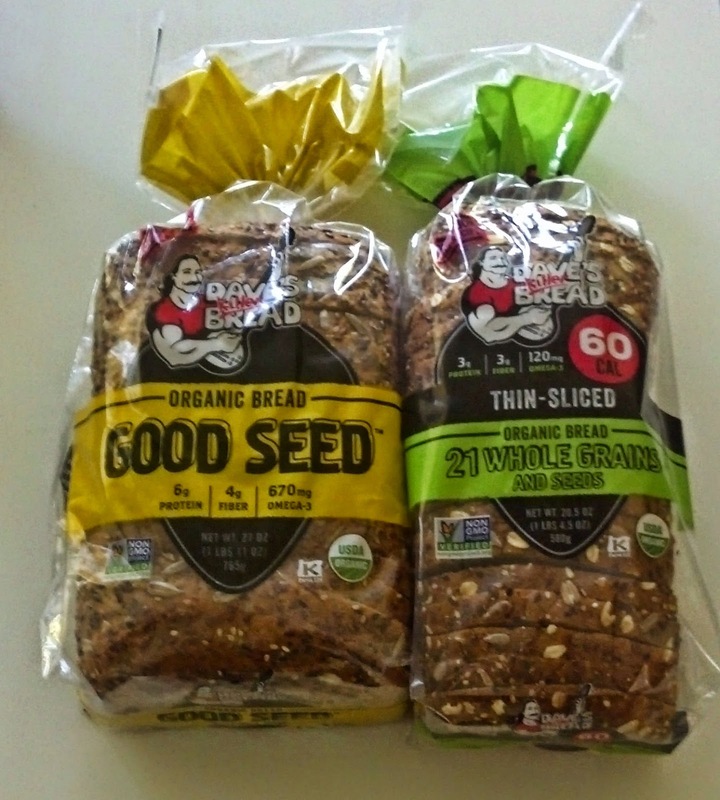 From the website: "We started as the favorite organic bread at our local Farmers Market in Portland, Oregon. 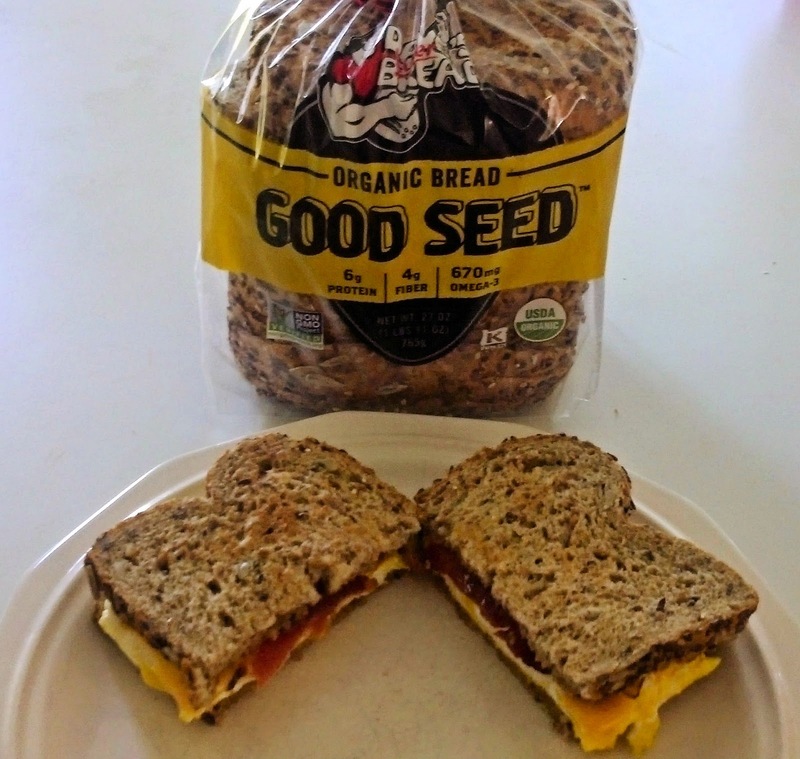 Less than a decade later, we’re the #1 best-selling sliced organic bread in the country* – and we’re quickly heading toward becoming a national brand... Our organic, power-packed breads always have been and always will be GMO-free and are all non-GMO Project Verified. We’re all killer – no filler. Always." You can see even through the bag that there's a gorgeous coating of seeds on the crust. That's all them. 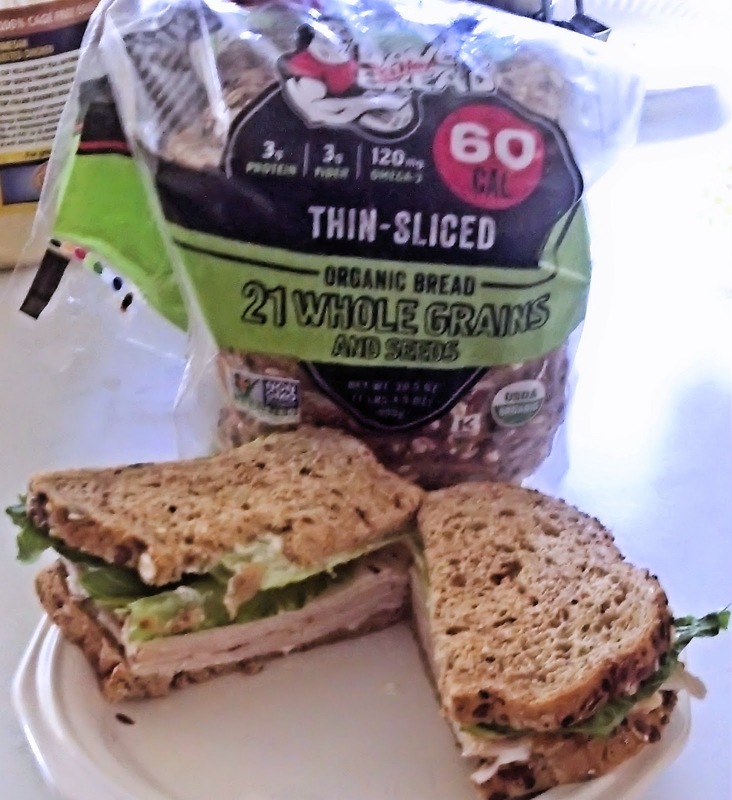 "We hand-wrap our breads all the way around with seeds and grains instead of just dusting with seed “toppings”. Dave’s Killer Bread is seeded all the way around and all the way through with flax, sesame, pumpkin and sunflower seeds (among many others). Don’t be surprised to find ingredients like amaranth, barley, spelt, blue cornmeal and quinoa. 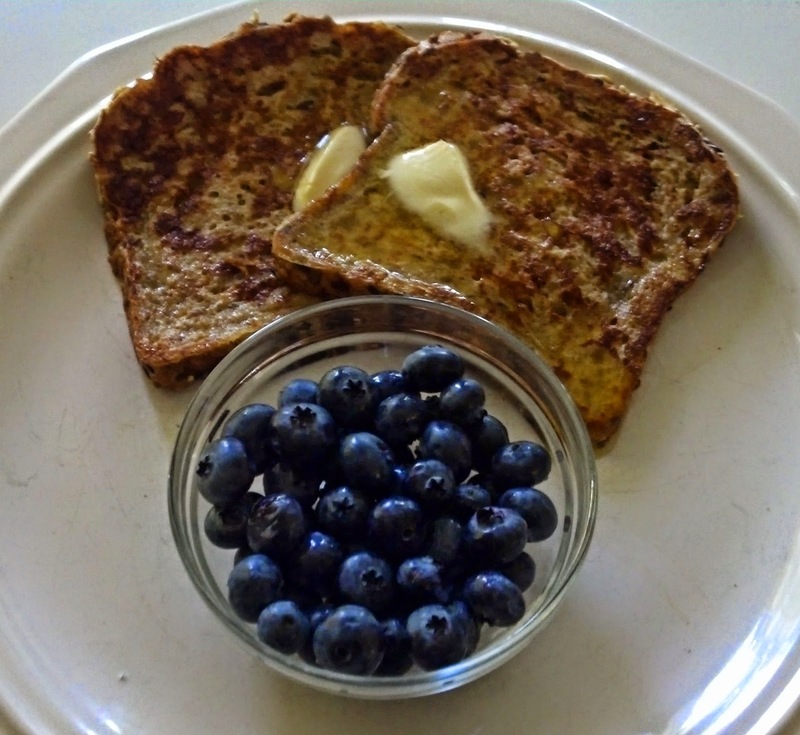 The result is bread that is power-packed with Omega- 3s, fiber, protein and whole grains." Quinoa, people. Fancy that. In bread. They're not kidding. Here's a closeup of the Good Seed if you don't believe me. Now, if bread is going to hang out in my house, it has to run the gauntlet of the classics and rock the flavors. 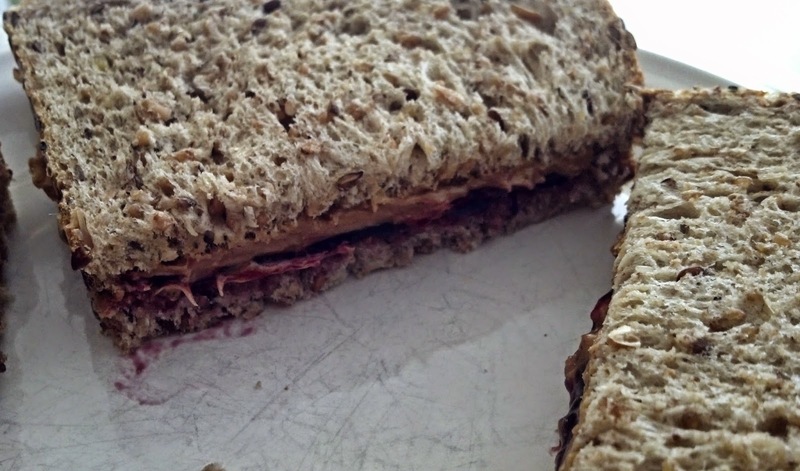 I started with a basic PB and J, using grape jelly. Awesome for both types. The nuttiness of the grains adds a wonderful flavor and texture. I personally preferred the Good Seed version best. 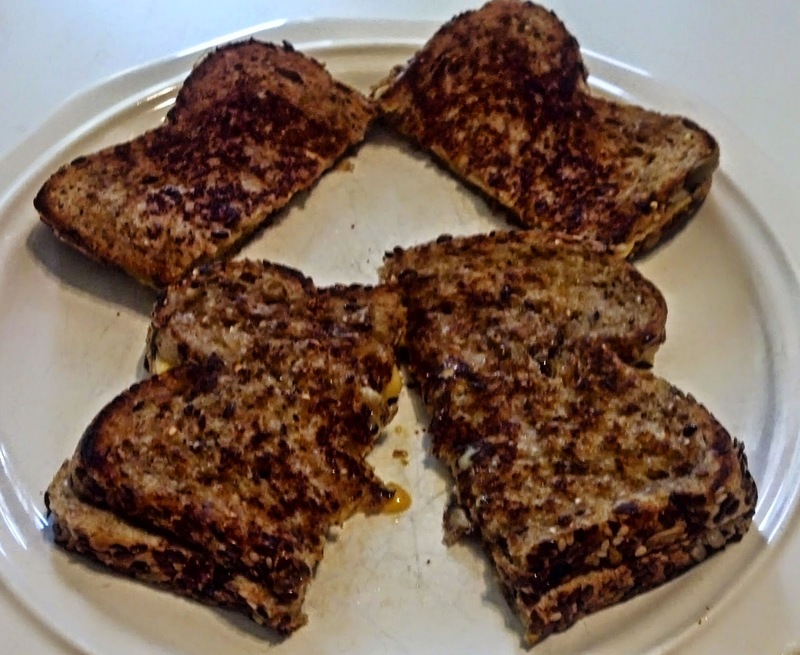 Next, the old school grilled cheese. I was a bit wary of this, but my fears proved unfounded. The nut flavors and touch of sweetness made a great counterpoint to basic American cheese. Both worked great, but the Thin Sliced 21 Grain edged past its brother on this one. Next, I forayed into the meatier choices with a BLT, made with Good Seed, and a turkey sandwich, made with the Thin Sliced. Both added a great additional flavor to my favorite standards, and an interesting side effect. I noticed that I filled up faster and stayed fuller longer than with white bread. Not bad, considering I'm trying to watch my weight. I then put this bread to the true test: breakfast. First, my egg sandwich. With bacon, of course. The combo of savory and sweet was a real wake-up call. 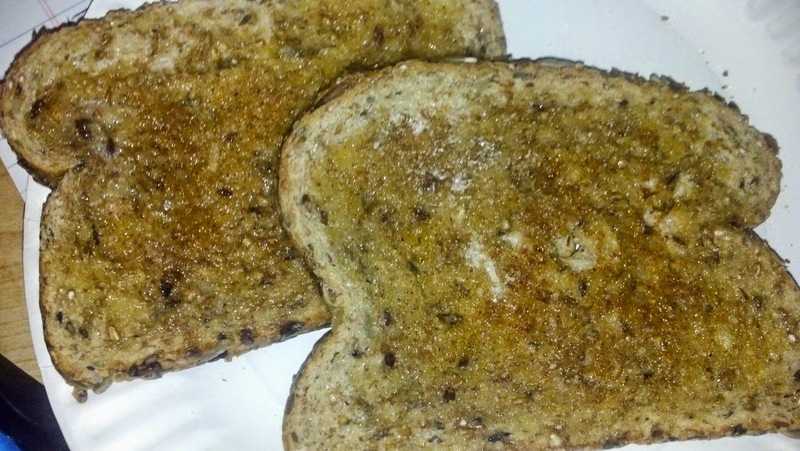 No breakfast is complete without toast. My personal favorite, cinnamon, was the BOMB with this bread. It bordered on pastry-like, and was very filling. And of course, Vive la France. This was a great way to combine decadence with healthy options. Both breads were WONDERFUL for this use. After all that breadly excitement, I thought of dessert. Once again, Dave's Killer Bread to the rescue. 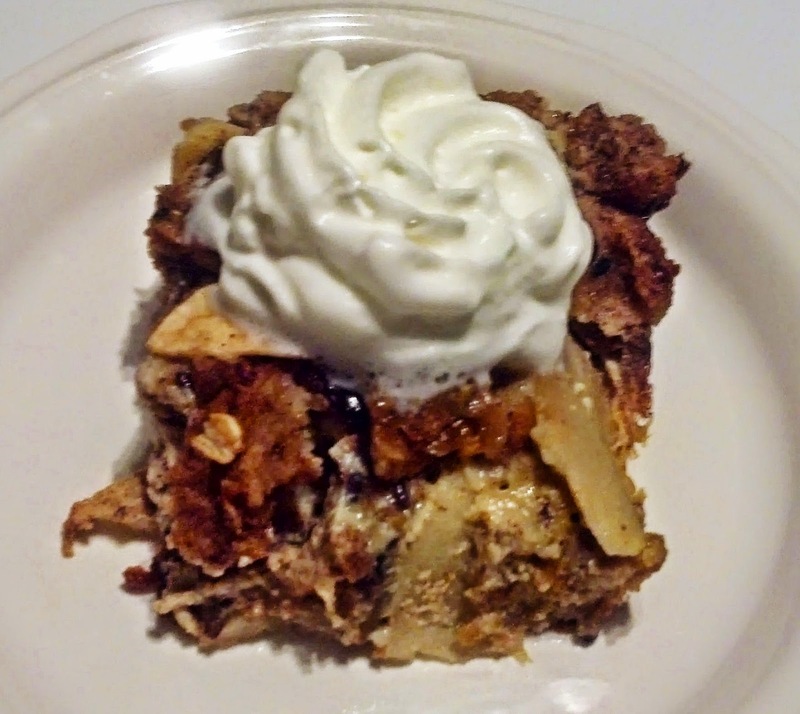 Behold, Killer Bread Pudding (with apples!). The perfect combo of good eating habits and dessert. I even used stevia instead of sugar to add another level of goodness. 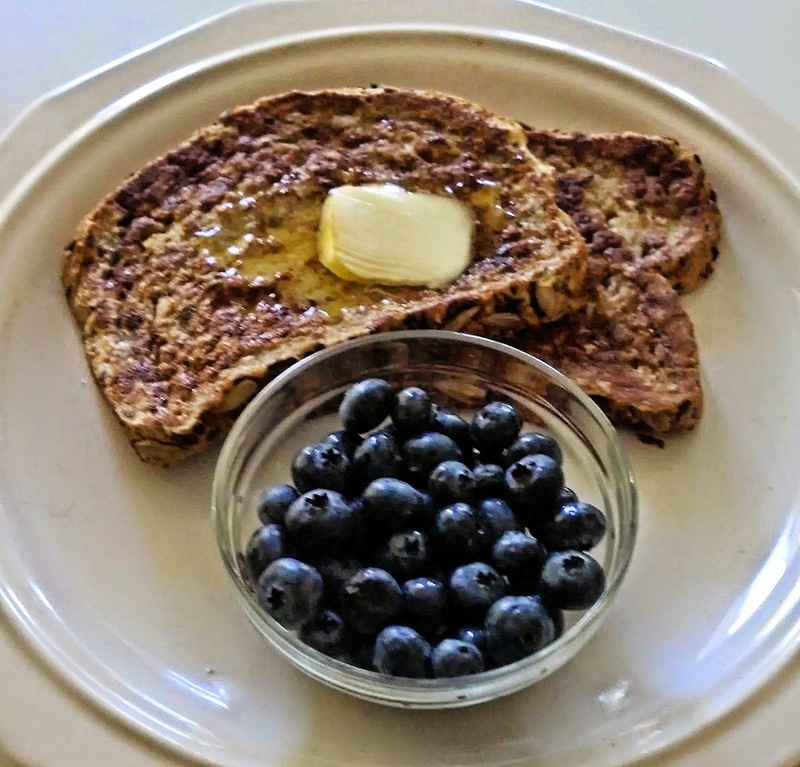 The nutshell review, pardon the pun, is that Dave's Killer Bread is a great spin on your basic whole-grain breads, and both the flavor and texture are excellent. 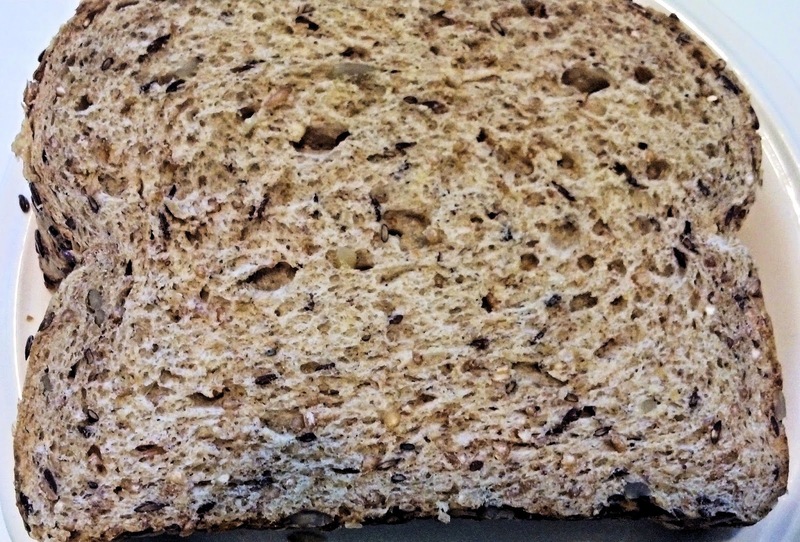 You still get the soft bread interior, and the nutty crust adds a great texture to anything you do with it. The other major plus is that it made me feel good, both about my eating habits and in my digestion. This is whole grain done good, and I really recommend it. Connect with Dave's Killer Bread! I received products from Moms Meet for testing and review purposes. My opinions and whipped cream are my own. Arla Dofino: As Gouda as it Gets. Gleam By Melanie Mills - My Time to Shine. Ragu: Mastering the Sauce for a #NewTraDish!